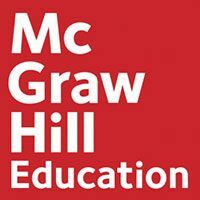 McGraw-Hill Education and Sesame Workshop today announced an agreement that will bring research-based Sesame content and expertise into pre-kindergarten (PreK) and elementary school classrooms across the United States. The first integrated program will incorporate social emotional learning skills like empathy, self-awareness and resilience into McGraw-Hill's Wonders literacy programs for PreK and elementary students. Teacher's resources to help educators guide their students to connect social emotional learning skills to real-world situations. Available now for reviews and adoptions nationwide, the K-Grade 5 curricula will start appearing in classrooms in the 2019-2020 school year. The PreK curriculum is currently under development. For more information on the Wonders program, visit mhereadingwonders.com.